The Bharatmala Pariyojana progamme is set to raise the dependence of National Highways Authority of India (NHAI) on market borrowings. Overall market borrowings for the Bharatmala Project are estimated at Rs 2.09 trillion till 2021-22. The total capital base comprising cess fund, toll collections and TOT (toll-operate-transfer) proceeds are pegged at Rs 3.77 trillion. “At around Rs 60,000 crore per annum, the annual debt requirement is in line with that raised in the recent past. A major part of this is likely to be sourced from LIC and the EPFO,” Icra Research noted in its annual sectoral outlook report on the road sector. Over the years, NHAI's expenses have spiraled driven by sharp increase in land acquisition costs. While expenses have been mounting, budgetary support has shrunk, leading NHAI to fall back on its internal resources and debt. With banks dogged by the problem of stressed assets, they are constrained to extend credit to highly exposed sectors like infrastructure. “Lenders, in some cases, are insisting on higher as well as upfront equity infusion, particularly in the case of smaller players and developers with leveraged balance sheets. Many infrastructure players have raised funds through the corporate bond market for completed projects (replacing bank credit with bonds) which is also one of the reasons for subdued growth of banking credit to the sector”, ICRA Research observed in its analysis. A significant pipeline of road projects to be awarded under the new Bharatmala programme in the next three years is likely to boost the order book of medium to large size developers. Awarding projects after receiving all approvals is likely to reduce delays in execution and reduced idling of resources, thereby resulting in improved operating margins. Further, TOT awards are expected to crowd out the asset sale activity of private developers resulting in lower stake sale transactions. The study by ICRA Research expects toll collections to log high single digit growth in FY2019. 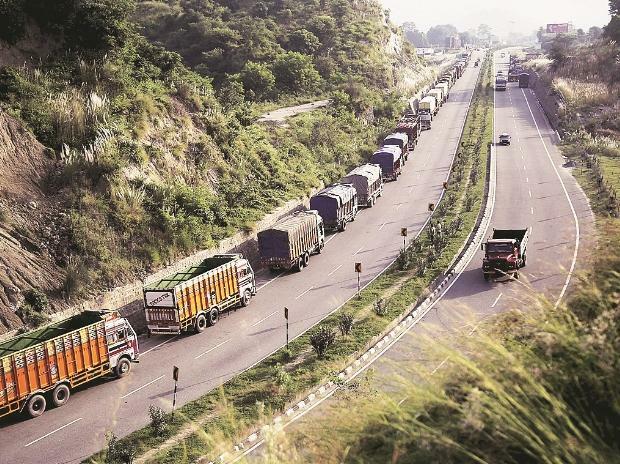 The trend is encouraging with the medium and heavy commercial vehicle (M&HCV) cargo segment witnessing robust growth of 38 per cent during April-November period of FY2019. Further, the average increase in WPI (toll rates are linked to WPI) in FY2019 is expected to be around four per cent, higher than FY2018 by 1.2 per cent. The combination of high M&HCV sales and increased WPI would result in toll collections witnessing double-digit growth in FY2020. The flip side rests on the high-interest outgo as leveraged balance sheets will continue to exert pressure on net profitability of the toll road projects.